This is fantastic...I get so many inquiries or rather I refer so many people. 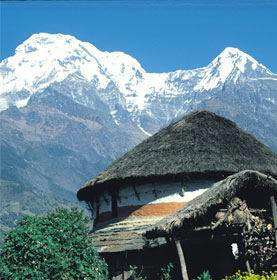 When starting Panchakarma Guide our core vision was to improve the quality of Panchakarma centers worldwide and to make a guide so a patient in need of improved health could find their needs matched. 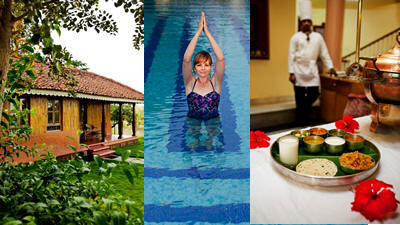 Panchakarma is not just a physical health boon for the world but more importantly a mental and spiritual health boon. As the body is purified the mind and heart can connect and sing one song (called yoga in Sanskrit) and there is no greater gift to the world than this song flowering in a human being. So besides putting a spot light on Panchakarma centers we thought to put the same light on the institutions that are educating future vaidyas (Ayurvedic doctors). Please enjoy our humble offering here. Add your school to the guide. Review an existing centre that is listed on the guide (to help future students choose well). In Charaka Samhita Panchakarma is mentioned in a chapter that is aptly entitled Siddhisthana. This means the chapter related to perfection. Part of our vision is to further the application of true classical Panchakarma in this essence that means using it as a tool for the highest perfection of the human being. So we encourage all to understand the essence of Panchakarma and there is a great well spring of books out there that can help you learn. We've featured a few of our favorites from Vedic Books here for you to explore. If you're planning a Panchakarma and really want the treatment to have a life-long and profound effect there are a few important questions to ask. If you don't understand all the terms then please read Dr. Joshi's excellent book on Panchakarma which will explain it all. 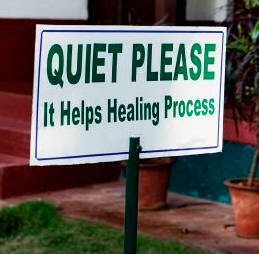 These are important questions that every Panchakarma centre should comply with the correct way. Is the food organic? Correct answer: YES or YES MOSTLY. Special note: Often in India in particular they might say yes but you will get there and find out it is not true. In effect there are very very few (I can count them on one hand!) centers in India with real organic food. Organic food is available in India but the awareness is not rife yet for this to matter much so many centers (as you might see in our reviews) have said yes only for patients to find out it's not. Why does this matter ? If you're cleaning the body and taking pesticides and herbicide residues in your body, it is a total contradiction! Is there a cell tower on your hospital or near your hospital (within 250 metres is considered near enough to harm!)? Correct answer: NO. Cell towers are very dangerous and disturb cellular health so it will not only effect the quality of your healing but the ability of the doctors and therapists to do their job! Do you serve nightshades, caffeine tea or coffee, white sugar, chilli or refined oil or refined and processed grains? Correct answer ABSOLUTELY NOT! Why does this matter? All these foods make toxins in the system and Panchakarma is aiming to do the opposite. Sadly many places in India still do not comply with basic understandings of pranic foods and "dead" foods. So this is an important question and test. There are many centers that have very pure and good food but many that don't. There are many more questions to answer; we'll feature them on our next homepage soon. If you have some of your own then feel free to let us know. Please visit Vedic Society for our publications on Ayurveda and Panchakarma which are being added each week by our team of scholars.